This past spring, I acquired 144 pounds of Chilean Carmenere grapes from Carolina Wine Supply. Previously they only offered juice. But more recently they've been providing grapes. 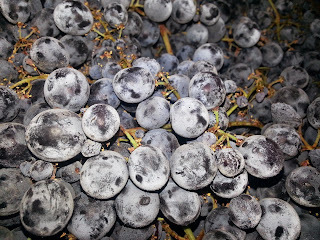 I was surprised to find that the grapes were in good condition, particularly given that they were transported from Chile. After crushing and destemming, I started them off with some Opti-Red and pectic enzyme to break down the solids and extract as much color as possible. After 24 hours, I introduced D-254 yeast for fermentation. This batch has yield 11 gallons of wine thus far. 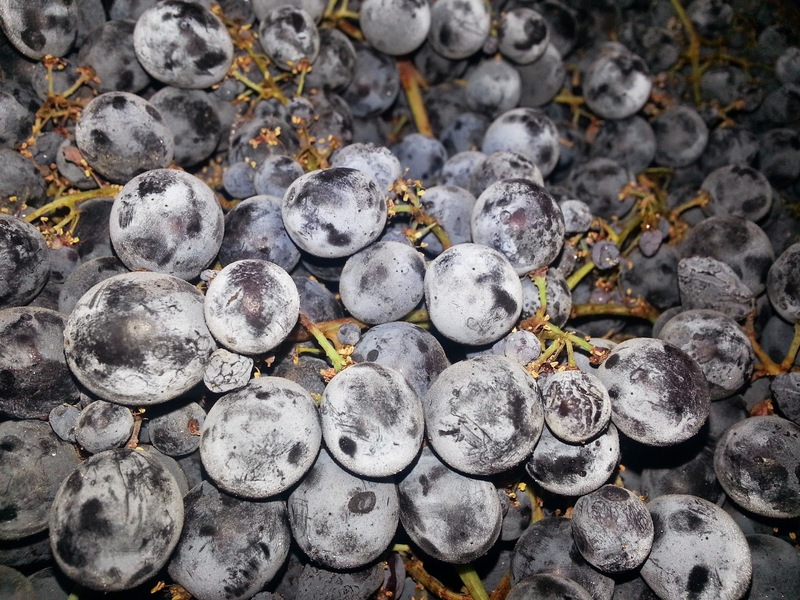 Some of the wine will likely be used to top off the California Cabernet Sauvignon and Grenache Noir, though a majority will probably be bottled as a stand-alone wine. Particularly given that Carmenere is a definite favorite in our household. The Howling Good Red was the largest single batch of a wine we've bottled. It was intimidating to think about the overall quantity: 34 gallons of wine put into 168 bottles. Yikes! Kelly and I were very happy to have my sister Rosalie, who had just moved here, available to help with the processing. Kelly and I had performed blending trials and had ultimately decided an even split between the 2010 Lodi Zinfandel (CA) and the 2010 Yadkin Valley Syrah (NC). The acidity of the NC Syrah helped balance out the intensity of the Zinfandel, and it lowered the alcohol content. It is not often that winemakers, amateur or professional, get the opportunity to make a wine from two grapes that were grown on opposite ends of the country. This truly American blend is about 14.5% alcohol by volume. 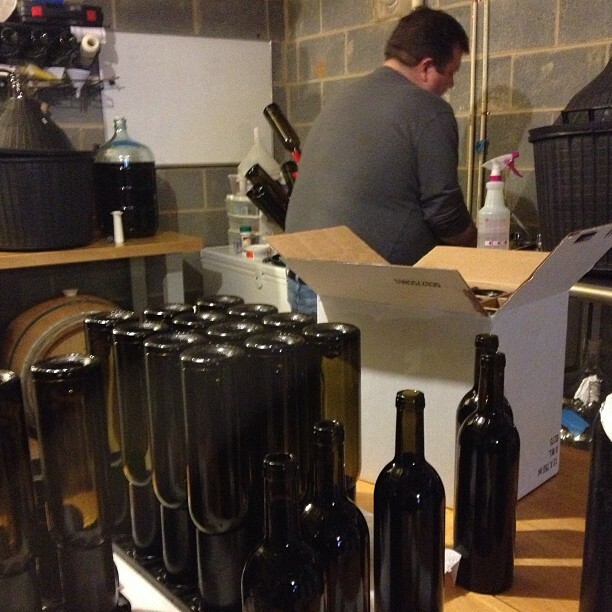 It took our small assembly line of three about four hours to bottle all of the wine. One person prepped the bottles, one filled each bottle using the Enolmatic, and the last person corked. We rotated among the positions. Definitely a very hands-on, exhausting experience. But fun none-the-less. The fun continues as we still need to label the 14 cases of wine. Luckily that's something that can be done small bits at a time. At least we’ve learned the valuable lesson of at least labeling the boxes right away!